Meet Your Neighbor Phyllis Harrell of rural Stronghurst. Phyllis is a homemaker and a retired Registered Nurse. She was born in Moline and raised in Lynn Center. In 1951, she graduated from Orion High School and continued her education at Diploma School of Nursing (Lutheran) in Moline graduating with an R.N. degree in 1954. She returned to Augustana College in Rock Island and received her bachelor's degree in nursing in 1959. Phyllis was on the staff in Illinois, Florida and California. She started teaching at the Moline Lutheran Diploma School and in 1972 Phyllis started the 2 year Registered Nurse program at Southeastern Community College in West Burlington, Iowa. She was the director of the R.N. and L.P.N. program until her retirement in 1993. She and hubby, George, will celebrate their Golden Anniversary in October. George and their two sons, Jay and Larry, farm in rural Stronghurst. Their daughter, Karen (Brad) Davies also lives at rural Stronghurst. Karen is a Registered Occupational Therapist and is 4-H coordinator for Henderson County and homeschools their two children. Husband Brad is employed in Wapello, Iowa. Phyllis has 4 grandchildren, Emily, (18) a senior at Monmouth-Roseville High School, Erica (12) at I.C.S. in Monmouth, Macy (17) and Justin (15) are homeschooled. Her parents, Saul and Minnie Anderson of Lynn Center are deceased. Phyllis has one sister, Marjorie (Lawrence) Harrell. She is a member of Bethel Lutheran Church in Stronghurst. She previously was on the board, taught Sunday school and is presently active in the Bethel Lutheran Church Women and a member of the evening ladies Bible study. She enjoyed helping the Mother-Daughter Dessert at the church. She also is an active volunteer at Oak Lane Nursing and Rehab, an auxiliary member, and an active member in Delta Kappa Gamma Alpha Rho chapter which includes the counties of Warren, Knox and Henderson. 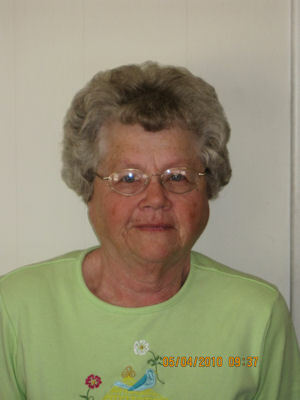 Phyllis enjoys day tripping with friends, especially attending Circa 21 and the Players Workshop in Burlington, Iowa. Phyllis said, "I love watching my grandchildren grow and mature, the changes in their lives, and those very special times when they stop by and visit."